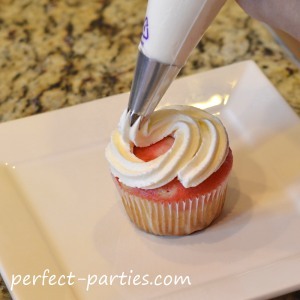 Here is a simple technique using the 1M tip from Wilton to design cupcakes with a pretty swirl! It just uses the 1M tip and a pastry bag to pipe this fancy iced swirl. 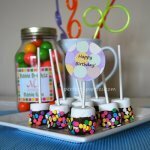 We found our frosting tips at a craft store like Michaels, but you may be able to find it at stores like WalMart that have a party section with Wilton products. 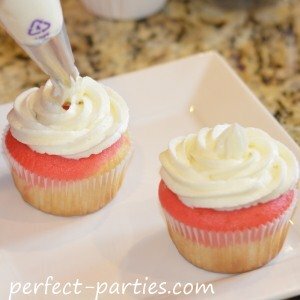 We like to use our Buttercream Icing Recipe to make home made frosting but this technique works well with pre-made tub frosting as well. Fill a pastry bag or a freezer zip lock to hold your icing and use our tutorial to make the swirl design. 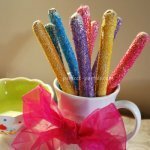 Then decorate with your favorite sprinkles. Cut small tip off bag or ziplock. Slide 1M tip into bag and sit firmly in bag. Adjust as necessary. Spoon frosting into pastry bag. Push with spatula to the bottom of the bag. Fill about 3/4 of the way up. You need to have some leverage from the top of the bag to squeeze the frosting out. 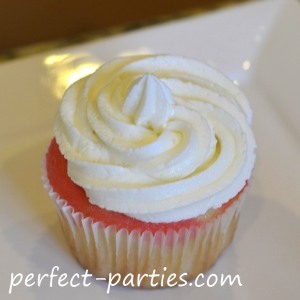 Hold pastry bag about 1/4 inch above the cupcake and start on the outer edge of your cupcake. Using steady pressure, work your way inwards until you reach the center, slightly overlapping layers as you go. Stop pressure and pull tip up and away to create a slight "point". Fold top of ziplock over when spooning in the frosting, then flip back over after. 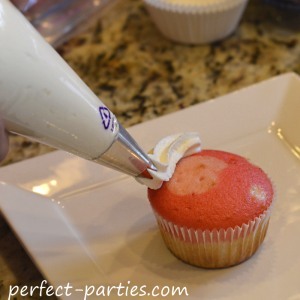 It will keep it a little neater and able to push the frosting to the bottom of the bag easier. The pastry bags are a little easier because it is narrow, however in a pinch the ziplock will work too. 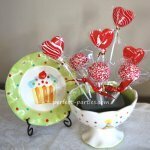 If you buy a set, be sure to check this one is in it if you are planning to make this swirl design! We used the Wilton brand although I have seen others. I am not certain if they are standard sizes or not. They have cute storage boxes for tips but if you are purchasing large size tips, check to see that your container accommodates this size. We made that error!